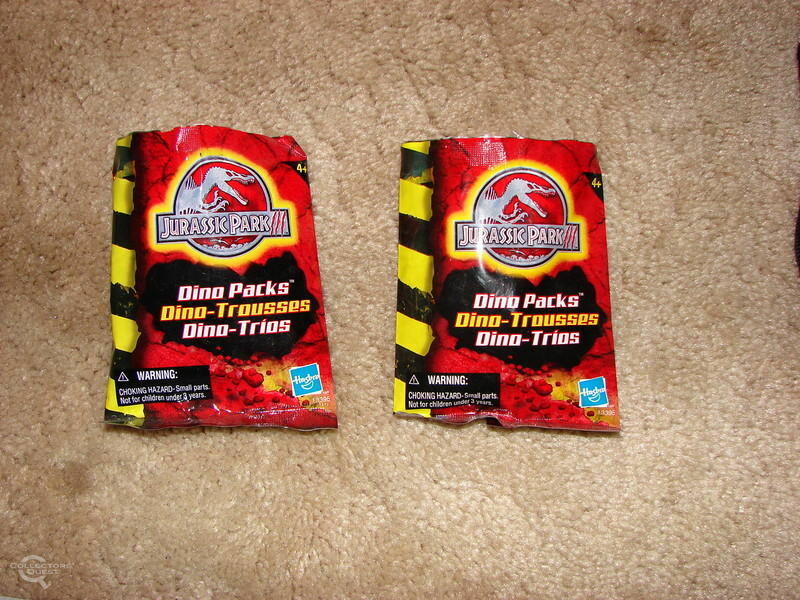 Not all Jurassic Park figures are released by Kenner or Hasbro. 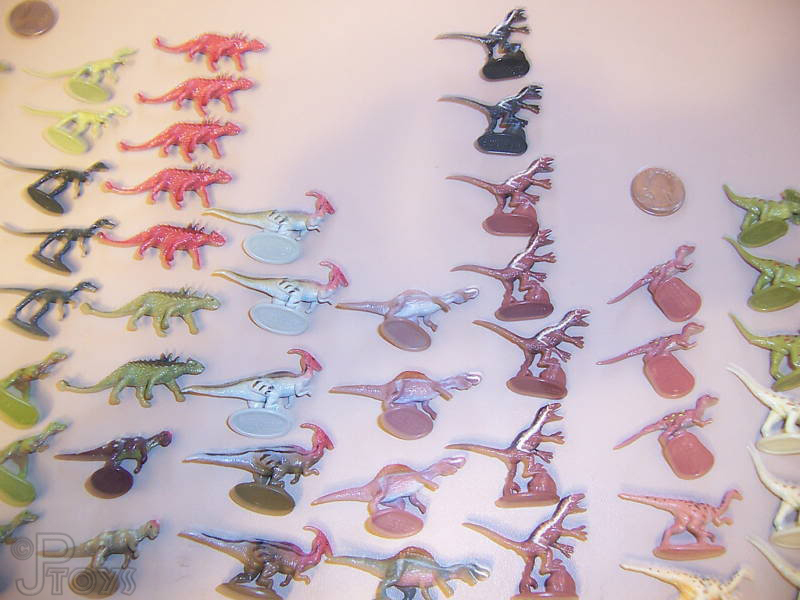 Other companies made figures for Jurassic Park too, which are usually smaller than the regular action figures. 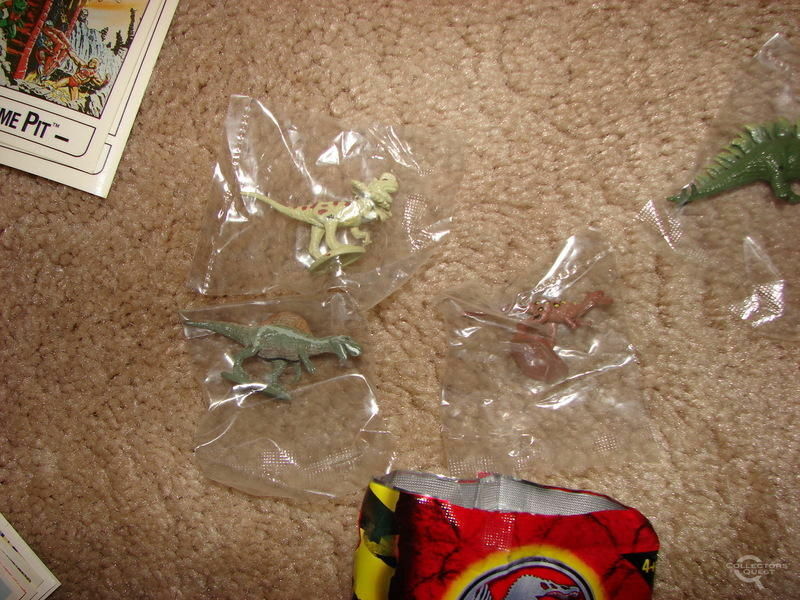 This part of the site will help to identify figures with the Jurassic Park copyright information or logo on them, but which doesn't seem to be part of the regular action figure lines. 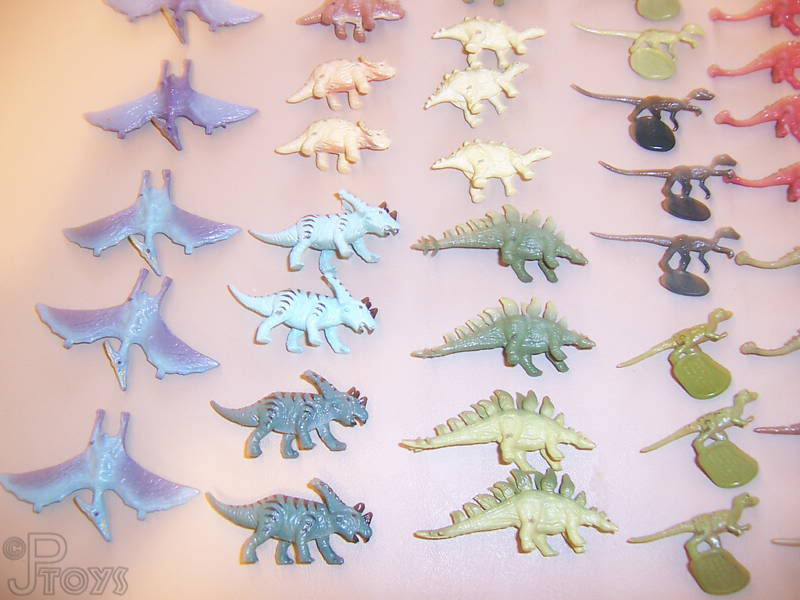 Comments: Dakin's line of dinosaur figures and keychains. 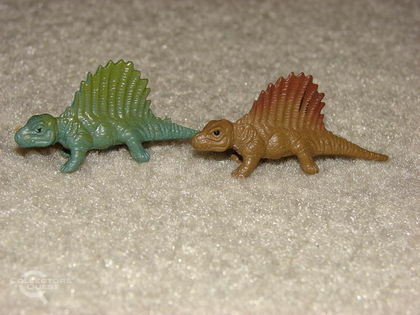 Comments: Equity Toys' line of dinosaur figures and keychains. 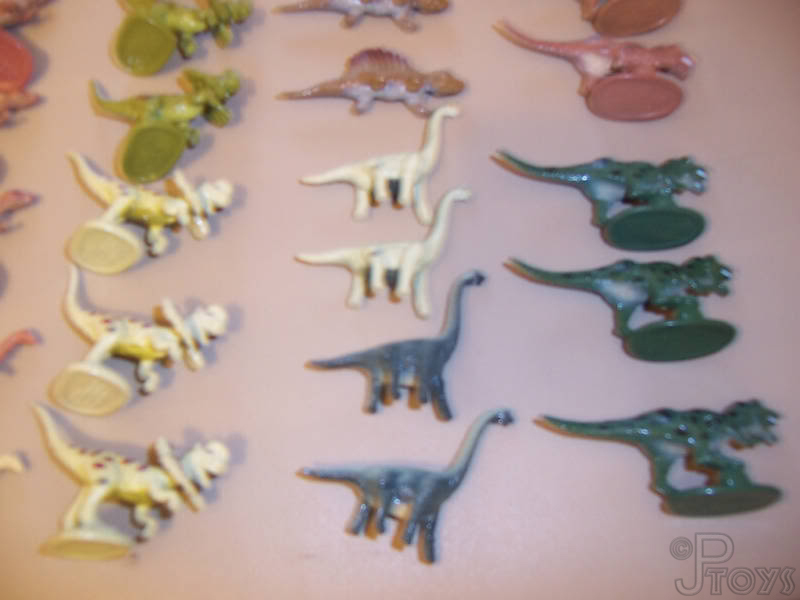 Comments: Fazoli's give-aways line of skeleton puzzles. 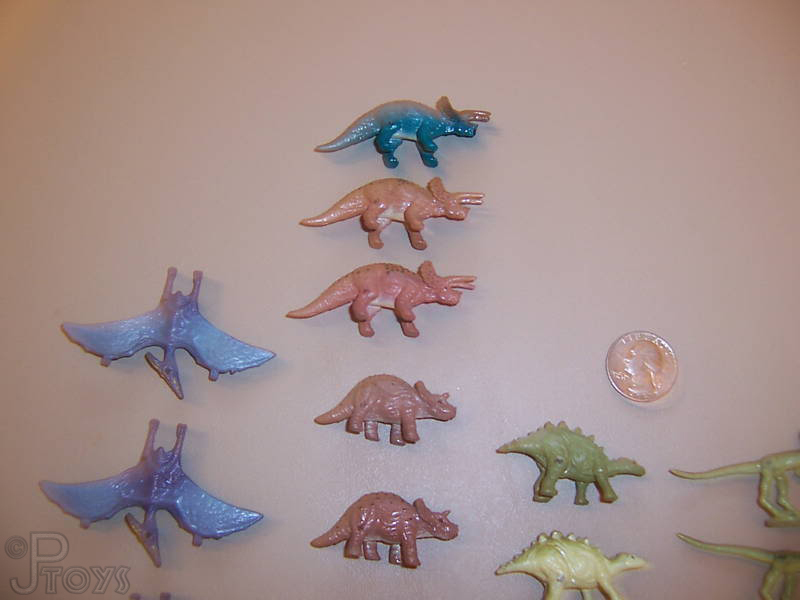 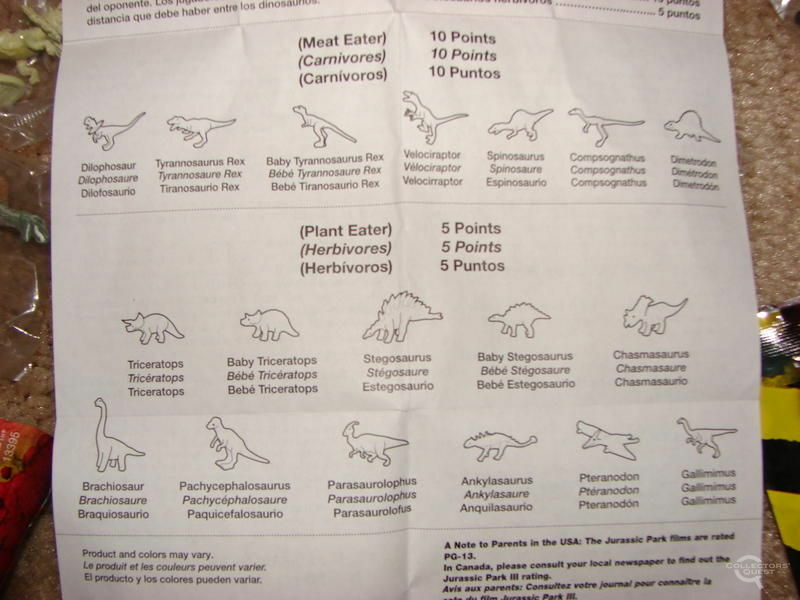 A series of small dinosaurs released by Hasbro in 2001. 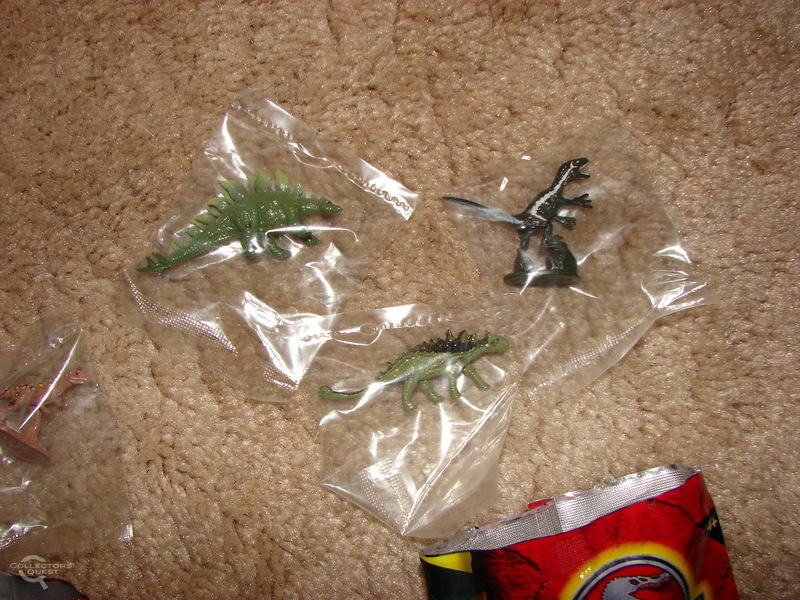 The sculpts are frequently the same as the Die-Cast series, also by Hasbro. 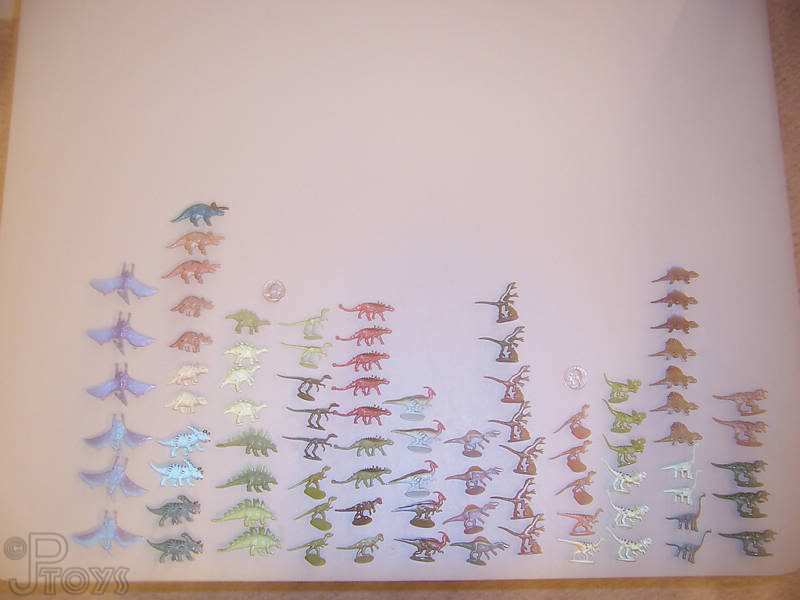 The entire series consists of 18 dinosaurs, but every dinosaur exists in several color variations too.